The upcoming DTM season is bound to feature the most powerful cars ever to race in the popular German touring car racing championship. 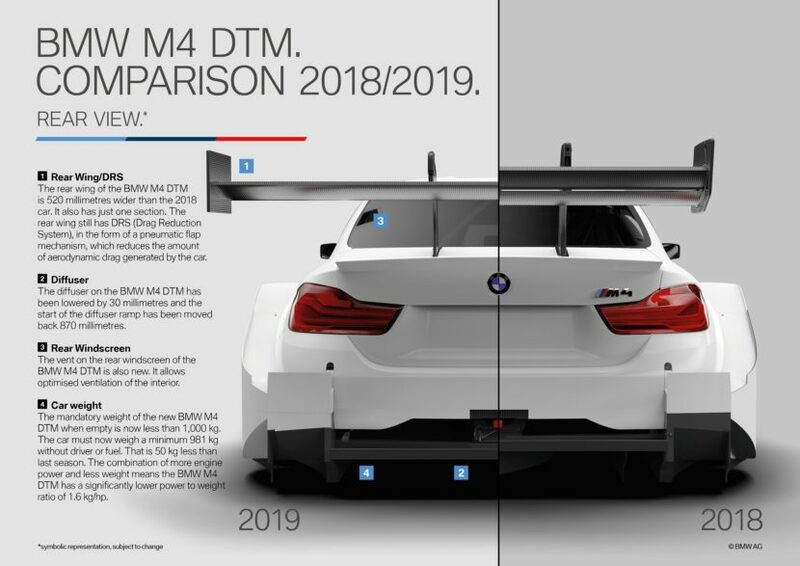 The BMW M4 DTM will now abide to Class 1 rules, as will all the other cars, and that implies a number of significant changes. 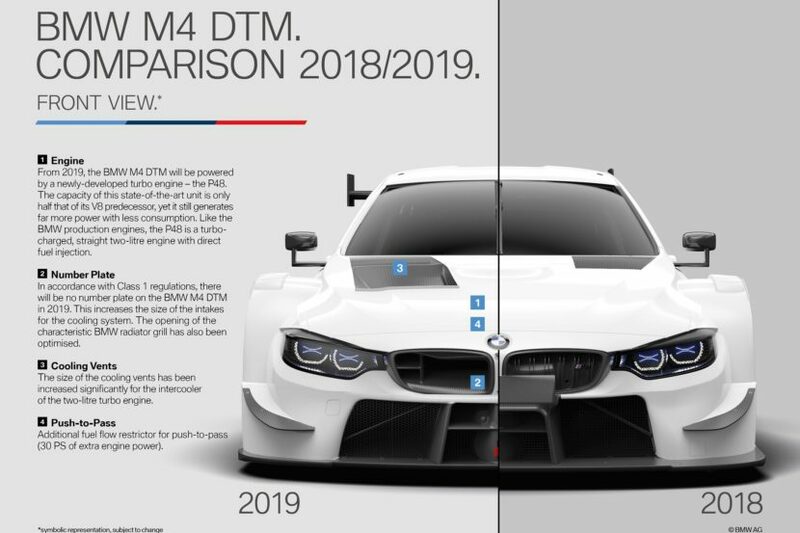 The P48 engine is bound to become the most powerful ever fitted to a DTM car by BMW, even though it lost some of its displacement. Couple that with some additional weight loss and the figures are stunning. There are also new rules to follow this season. For example, drivers will have a new ‘push to pass’ function available, allowing the drivers to call on up to 30 PS of extra engine power by bypassing the fuel flow restrictor. The rear wing is also modified but still includes DRS functionality, while the weight of the car is now mandatory under 1,000 kg dry. That is 50 kg less than last season. The combination of more engine power and less weight means the BMW M4 DTM has a significantly lower power to weight ratio of 1.6 kg/hp. This should ensure that the cars reach the 300 km/h (186 mph) mark on the fastest sections of track on the DTM calendar, such as the Parabolica at the Hockenheimring and that makes for some great fun for the spectators. The new car will also undergo a series of aerodynamic tweaks thanks to a new body and will sport no plates up front, therefore allowing for better brake cooling and more air to flow under the hood.